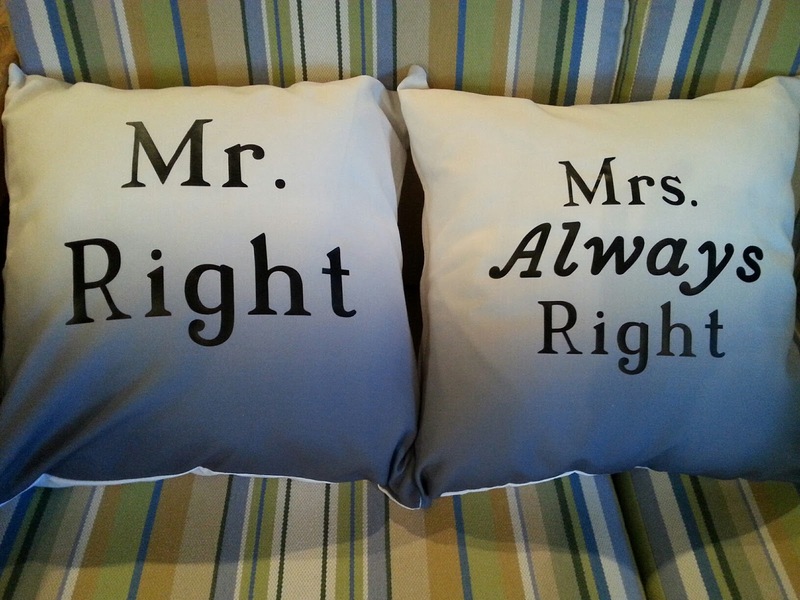 wedding ceremony? 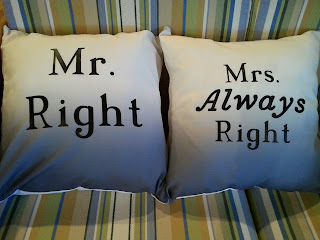 Now that we are in a heat wave, I am thinking that they may come in handy! Priorities-Megan kept at it -even while she was in the stander- to get cards of appreciation done for the military present at Staten Island Yankee Military Appreciation night. 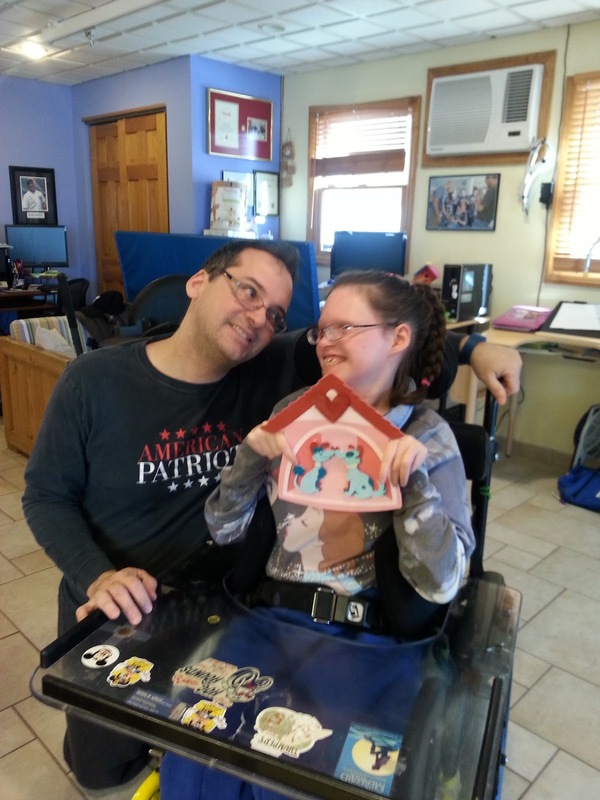 Thank You to all who have served our country! 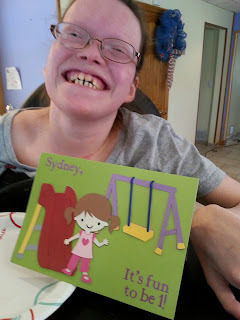 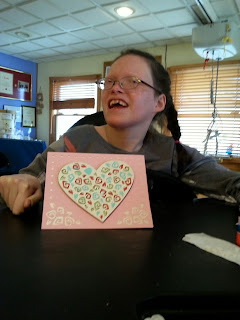 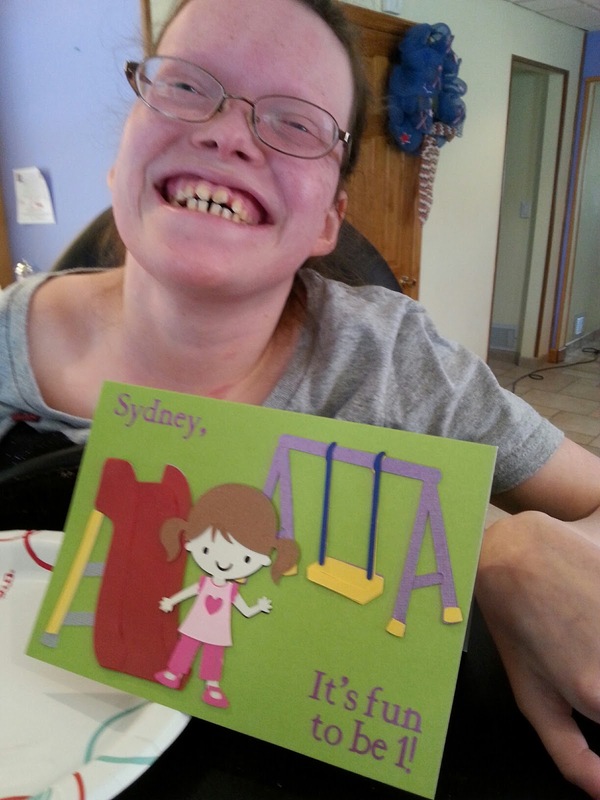 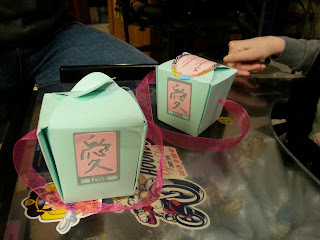 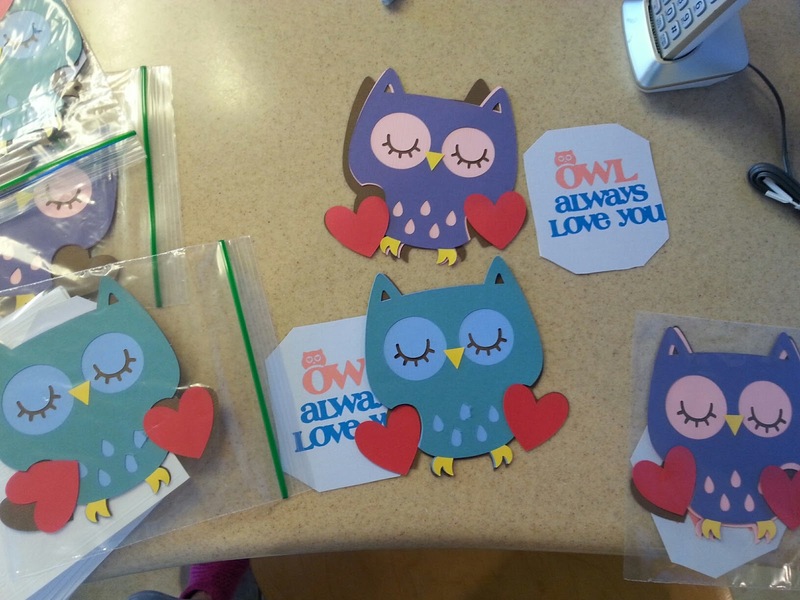 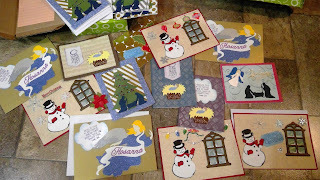 Megan made these cards for fellow dayhab participants. 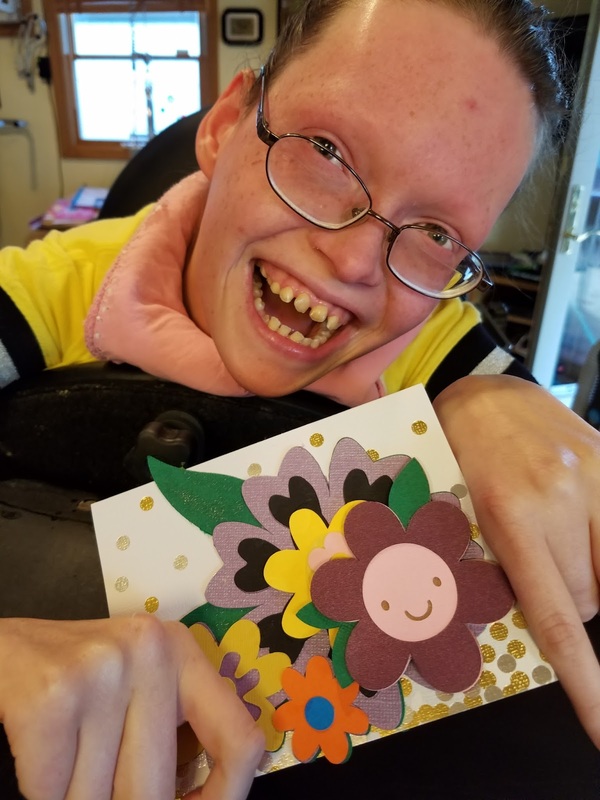 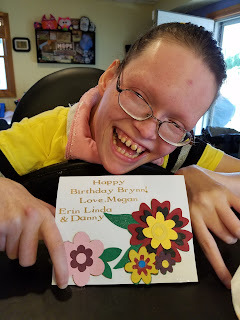 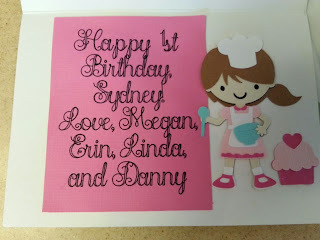 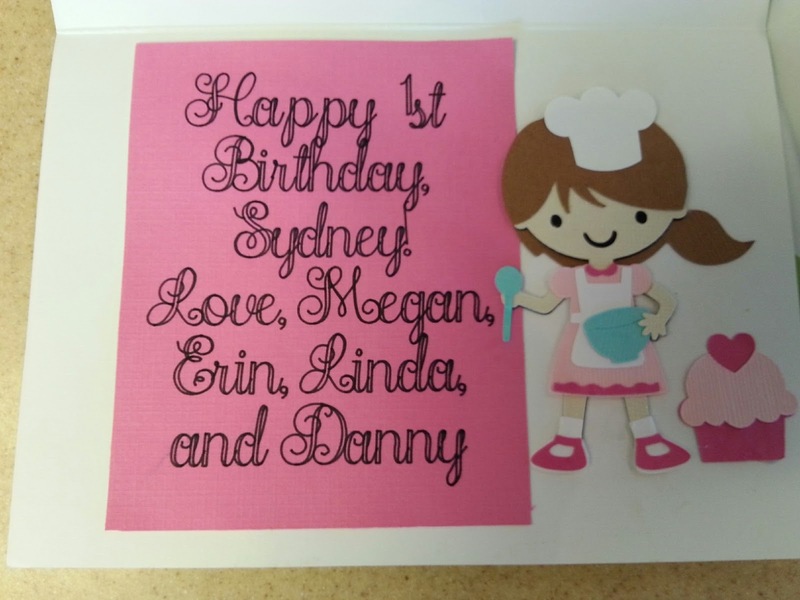 They like to celebrate each other's birthdays and Megan always wants to make cards as soon as she hears a birthday is coming.